With their solid majority, House Democrats made relatively quick work of the latest Republican efforts to stymie incremental minimum wage increases approved by voters in late 2016. A year later, lawmakers and Republican Gov. Paul LePage moved to repeal a portion of that law and restore the state’s tip credit. Under that portion of the law, tipped workers are paid an hourly wage that’s half of the minimum wage, based on the expectation the tips they receive will exceed their overall earnings to more than the state’s hourly minimum. Both went into effect in 2017, when Maine’s hourly minimum wage increased to $9. The minimum wage has risen $1 each year since and will do so until it hits $12 in 2020. Each subsequent year’s minimum wage will be adjusted to correlate inflation. The rejected bills on Thursday included one from Rep. Richard Bradstreet, R-Vassalboro, to establish a youth minimum wage for 16- and 17-year-old workers that’s $1 less than the regular minimum wage, $2 less for 15-year-olds and $3 less for anyone age 14 and under. The Democrat-controlled chamber voted 84-57 against it. 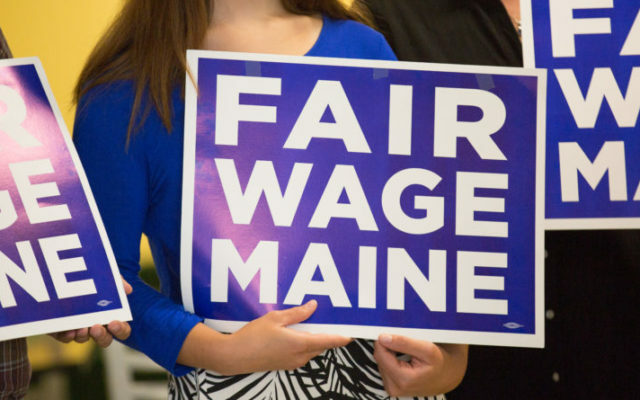 Three other bills — one from Rep. Shelley Rudnicki, R-Fairfield, another from Rep. Joel Stetkis, R-Canaan, and a third from Rep. Dustin White, R-Washburn — aim to create minimum wage alternatives to better accommodate smaller Maine employers. Under Rudnicki’s bill, which was rejected 90-49, employers with annual gross sales less than $500,000 could set their minimum wages at $9.75 in January 2020 with annual increases correlating with cost-of-living increases. Stetkis’ bill, which the House voted 83-58 to reject, seeks to adjust that slightly, beginning in October. Any employer with fewer than 50 employees would pay a $10 minimum wage, and a company with at least 50 workers would remain at $11 until early 2020 when it would increase to $12. His bill would also delay indexing the minimum hourly wage for cost-of-living adjustments until 2022. White’s bill, which was rejected without a roll-call vote, aimed to set the general minimum wage at $10 and remove the provision of state law that requires an annual wage increase to correlate with cost-of-living increases. All four bills now move to the Senate, which is also controlled by Democrats and where they are likely to die.